So today I want to share with you the simple process of purchasing Iota on Binance. 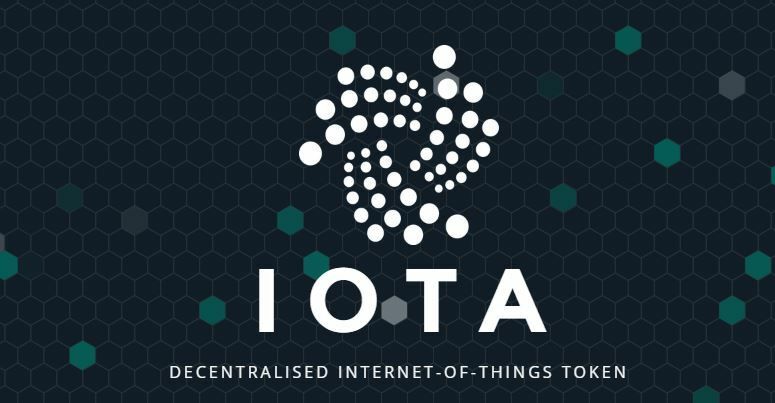 You might have heard of the interesting IOTA project and thought to yourself “This sounds fascinating, I would like to buy some but I am not sure how”. 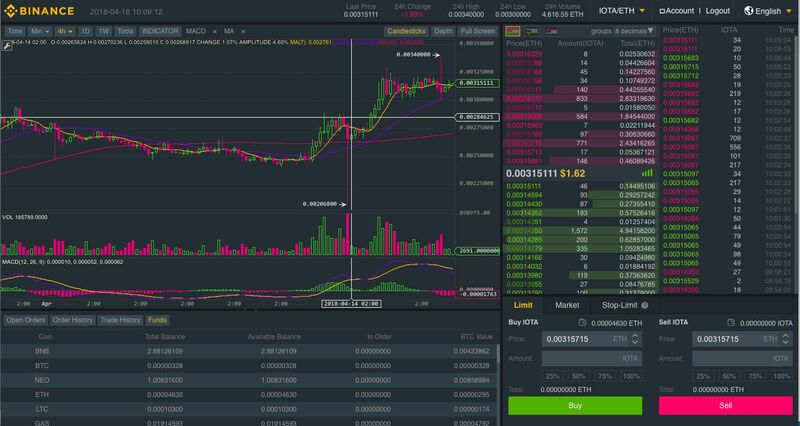 This simple guide will teach you how to buy IOTA on Binance. Unfortunately, at the moment, it is still not possible to buy IOTA directly with FIAT. Hopefully Binance will soon add direct Iota/euro trading pairs when they finished moving to Malta. I suggest that we buy IOTA using ether because of the low fees to send ether and the high transaction speeds. You will receive a confirmation email to confirm the payout. If you get stuck the picture guide below will help you. 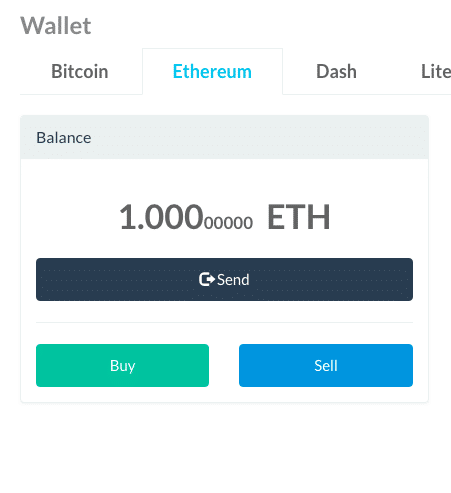 Click on Deposits and select ETH from the dropdown menu. Make sure you have the correct address or the funds will be lost! Login to Binance and click on the Ethereum Tab. From there Click on the Send button. 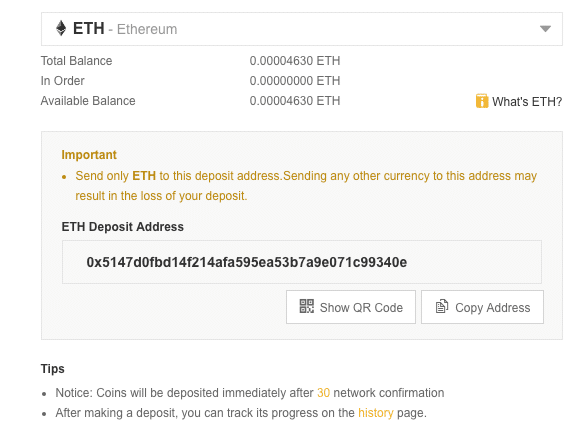 Paste your Binance deposit Address into the Payout Address. 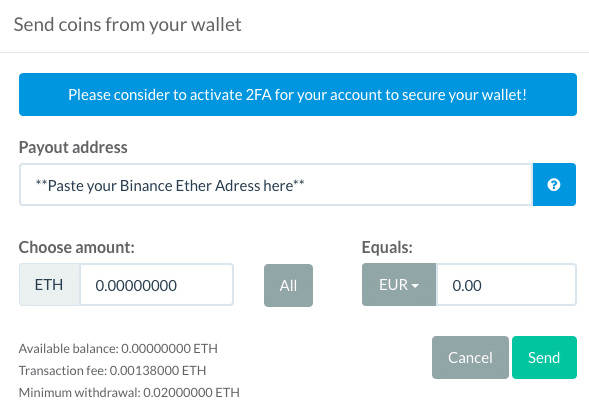 Select the Amount you would like to send to Binance. Click on Send. You might need to confirm the transaction by clicking on a confirmation Email. The Ether Transaction will not take longer than a few minutes. This can vary depending on the congestion of the network. This step is my favourite part. Even if you are not a trader, I suggest you familiarise yourself with some basic moving averages concepts or even the ichimoku cloud. This is only a suggestion and it will definitely help you find a better entry point. It will prevent you from buying at the top. That is definitely what you do not want to do. Headover to the advanced tab under Exchange. And click on it. You can also click on the Basic tab and see which one you prefer. I prefer the advanced one because it is more pleasing to look at, and offers a bit more trading information. In the end both tabs do the same. Feel free to check out both and find out which one works the best for you. Let’s find the Iota/eth trading pair. Click on the top right corner on BNB/BTC. That is the standard trading pair that pops up. Select the ETH base pair and type in IOTA in the search bar. If you have never used a trading platform this might look a bit complicated. I will go over the whole dashboard in an other post, so I will just explain the basics to get you started. The first area of information that is important to us are the bids and asks. The prices in red are from buyers that want to sell IOTA at a specific price. The prices in green are buyers that want to buy at a specific price. Both of these prices meet together in the middle. This is the actual price of IOTA at that specific time. Right below that tab you can find your buy and sell panel. We will just stick to the limit buy. Even though the Market buy or sell tab is much easier to use. I won’t go into detail and explain Market order. What you need to know is the following: You will probably get a much higher price when you want to buy iota and get less ether back when you sell iota due to slippage. Select the price in Ether with which you want to buy some iota and select the amount of IOTA you would like to buy. Right above the Buy button you can see how much Ether it will cost. Your Buy order will appear among the other green numbers depending on how high you set the order. Be very careful when setting the price and count the ZERO’s. You wouldn’t the first person to buy a cryptocurrency at a much to high exchange rate due to a typing error. 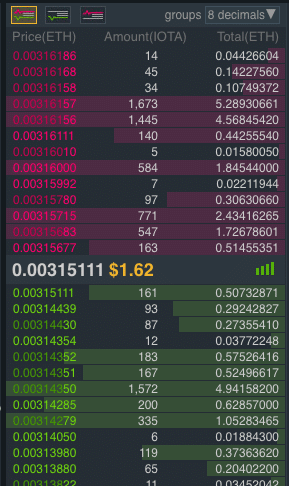 After the buy order was executed, you will see your IOTA in your wallet. Then click on Balances. You will see your IOTA balance there. I suggest leaving your IOTA on Binance for the moment until the Trinity wallet comes out. I hope you found this useful. If you have any questions don’t hesitate to ask.